In a shocking report released this week, the notoriously secretive USDA agency Wildlife Services admitted to having killed a staggering 2.7 million animals in 2014 - but that number may be even higher yet. Easily missed among the multitude of wild creatures shot, poisoned or snared in traps is a small but no less troubling number of domestic animals whose deaths were listed as "unintentional." According to the troublingly high death toll data, 16 "pets or livestock" were killed last year in addition to 1,001 "feral or free-ranging" dogs and cats. Amy Atwood, senior attorney with the Center for Biological Diversity, told The Dodo she suspects that the number of pets killed by the Wildlife Services is likely much higher than the agency reports, especially given the indiscriminate methods used to kill. "I don't believe their number," Atwood said. "Wildlife Services likes to say they selectively target animals, but we know that's just not possible with the poisons and traps they use. They're supposed to post signs warning of traps and poison, but they routinely do not. There are problems here that are systemic and pervasive." The Dodo reached out to Wildlife Services for clarification on the circumstances of those pet deaths listed in the recent report, and also to learn how agents determine if a dog or cat in a trap is a pet or "feral," but our calls were not immediately returned. 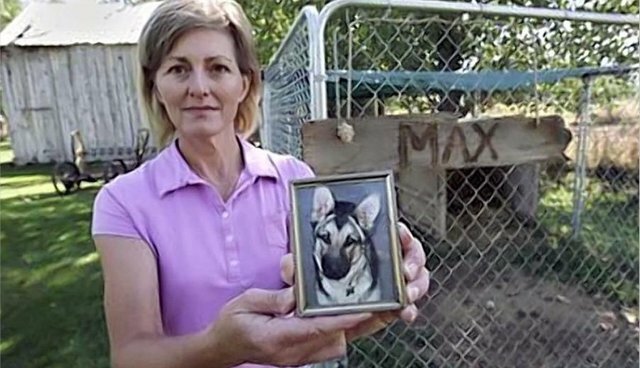 August 2011 (Gresham, Oregon): The McCurtain family's 7-year-old Border collie named Maggie was killed by a Conibear trap that had been set for nutria by Wildlife Services along a lake front in a residential neighborhood. The trap was placed on neighborhood common property, at the base of a trail leading to the pond's edge, and 47 feet from the McCurtain's backyard fence – an area where the family's children regularly played. The trap clamped around Maggie's head and neck and by the time she could be freed, she was dead. Indiscriminate killing methods and potential ambiguity of a pet's origins aside, there is another reason why their deaths may be underreported, and it's far from an accident. Rex Shaddox, a former trapper with Wildlife Services who has become a whistleblower on agency practices, said concealing the deaths of domestic animals was standard procedure. "Specifically with household pets, when we caught those pets, we were told to take their collars off. We were told to get rid of the collars. We were told to bury the dogs, and we were told to never report that," Shaddox says in the film "Exposed: USDA's Secret War on Wildlife." "That was a very standard practice that we were told, all the way from the state supervisor, through the district supervisor, through our troubleshooters, and to us. That's what we did. That's what we were told to do, and that's what we did." "I've been told by at least a half dozen Wildlife Services trappers that it's still happening today," Fahy told The Dodo. "The 16 animals they claimed aren't the only ones. They only do that when they know there's been a witness that's going to be able to corroborate that it happened." Beloved pets aren't the only nontarget animals dying painful deaths from poison and traps set by Wildlife Services. A 2012 investigation by the Sacramento Bee found that more than 50,000 animals - including endangered and protected species - have been "unintentionally" killed by the agency since 2000. Fahy believes that if the public were more aware of the opaque practices carried out by Wildlife Services - which, by its own count, killed an average of 7,300 animals each day in 2014 - there would be enough outrage to stop it. "We want this information to reach the light of day," he said. "We're going up against some very powerful forces."